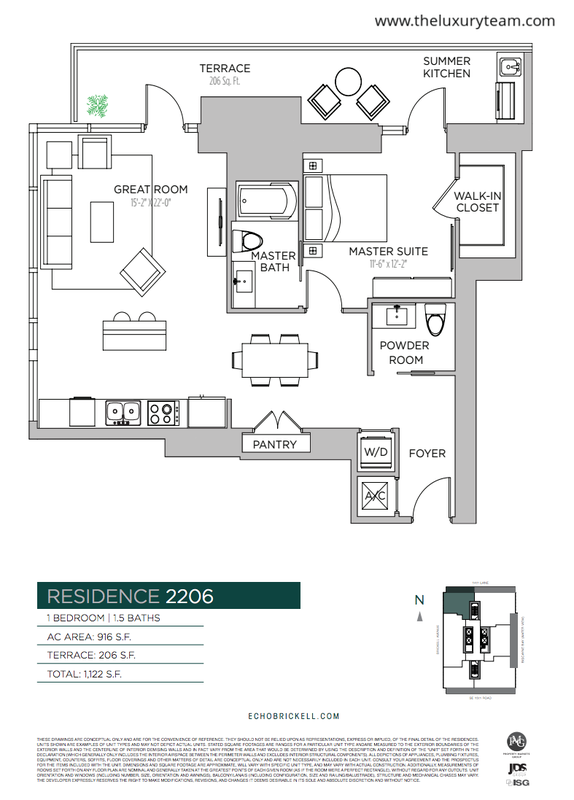 Echo Brickell is a boutique residential high-rise community located in metropolitan Miami. The building is currently under construction and is set to be completed in the spring of 2017. This project is being developed by Property Markets Groups in collaboration with JDS Development Group. Also working on the project is acclaimed architect Carlos Ott and the interior designers from yoo Studio. The building will stand out at 57 stories high over the popular Brickell Avenue. 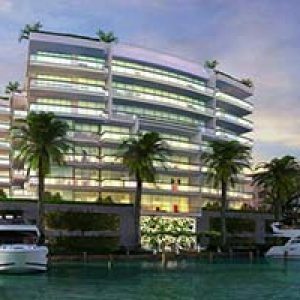 It will be the tallest residential building in the area, offering residents stunning views of both the city of Miami as well as Biscayne Bay. The building will include a total of 180 residences, which are currently available to reserve. 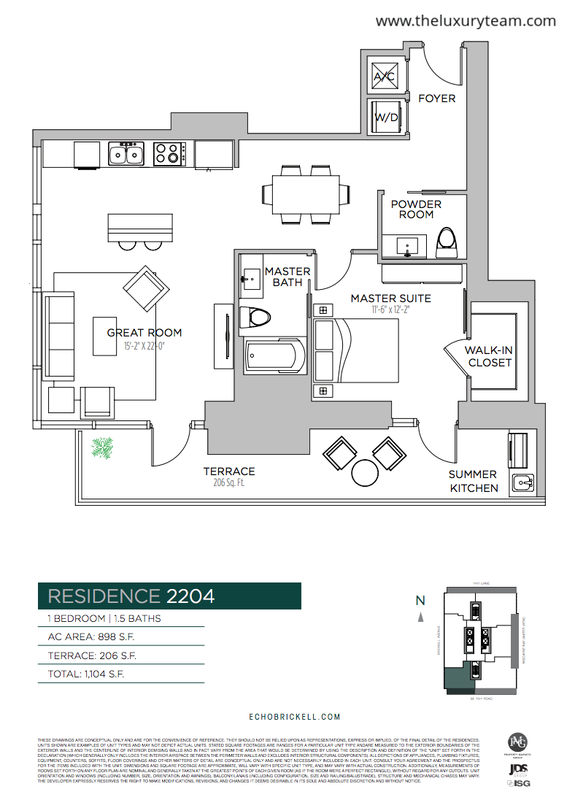 These 1-4 bedroom apartments will range from 784 square feet to 5195 square feet of living space. 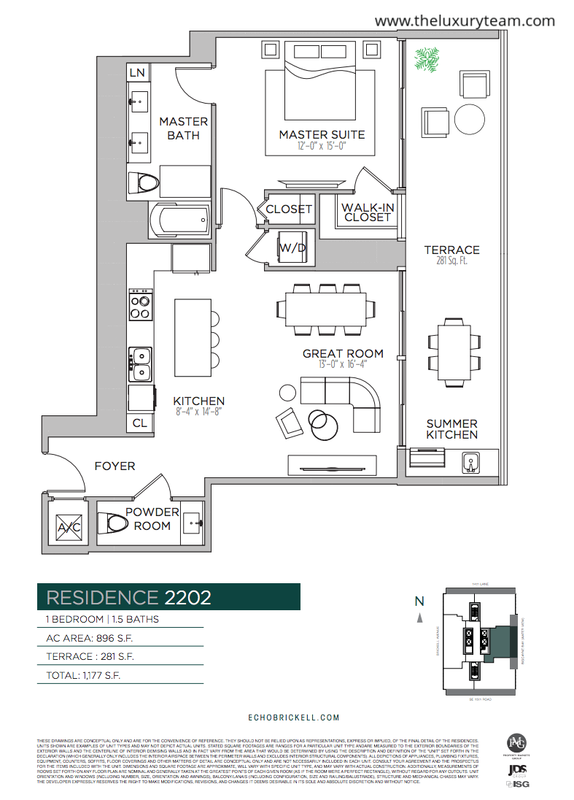 The price range for the residences starts in the 740s and goes up to 8 million for the most luxurious penthouse. 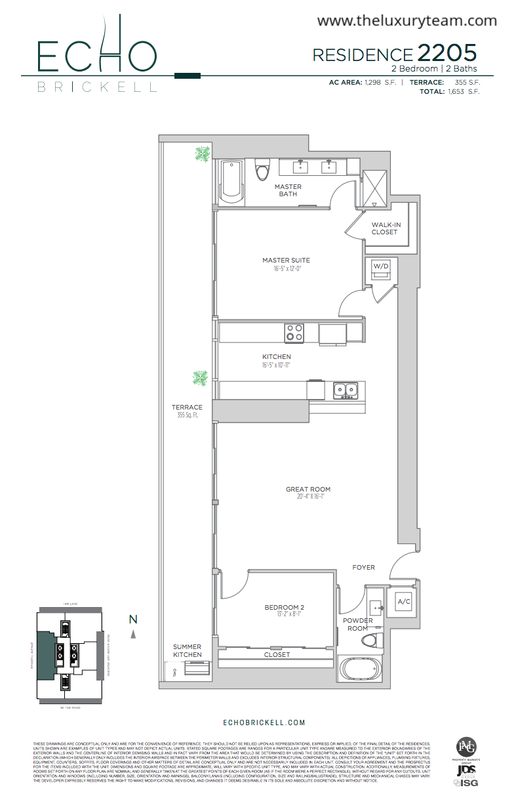 Delivered fully furnished, each unit will contain a custom interior design by yoo Studio. The condos will have a spacious modern design and include 10 to 14-foot high ceilings and elegant floor-to-ceiling windows. Marble flooring will stretch throughout the rooms and each kitchen will contain custom Italian cabinetry. Semi-private elevator entrances will lead to each unit, which will include smart iHome technology that uses integrated audio, video, and lighting systems. Interiors can be customized with recommended paint selections and floors that complement the selections. Eight-foot-deep terraces will give way to unparalleled views of Miamiand Biscayne Bay. Residents can enjoy a resort-style vanishing edge pool and a total of 4 hot tubs. The building will include a 4000 square foot state-of-the-art fitness center and spa. Other amenities will include valet parking, high-level building security, a full service concierge, and pet walking service. The penthouse will also feature a private maid’s quarters and a midnight bar in the master suite. Echo Brickell is conveniently located close to major roads, like the scenic Route 1 and the southern end of Route 95. It is also a short distance to Route 913, which provides access to the Virginia Key Island, home to Hobie Island Beach Park, the historic Virginia Key Beach Park, and the Virginia Key Mountain Bike Park. Also close by is Mary Brickell Village, a lifestyle center that has become popular for shopping, dining, and entertainment. Downtown Miami is not far to the north, offering endless dining and entertainment opportunities. 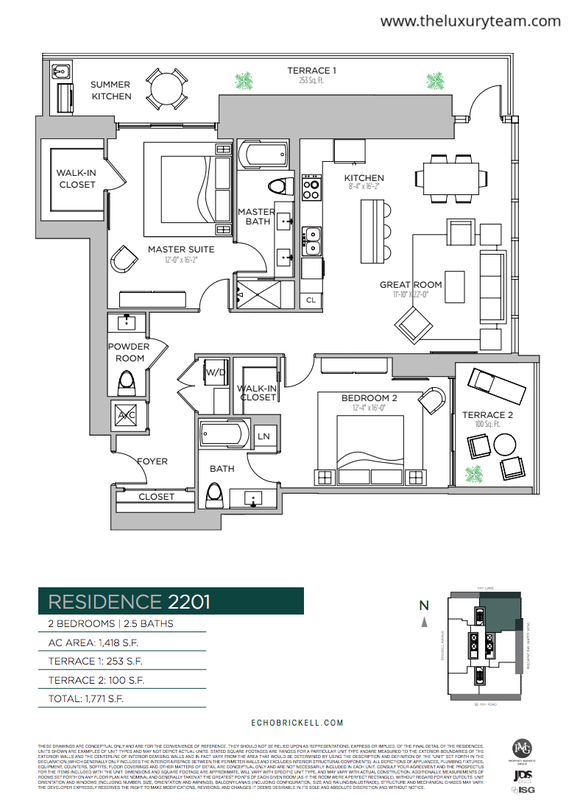 Finally, the complex is located close to Miami International Airport and the Port of Miami. 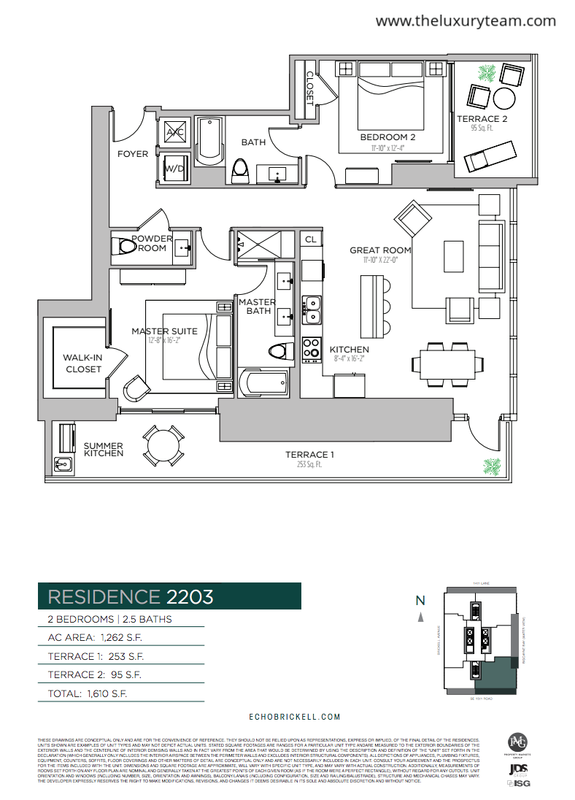 Inquire now about reserving one of the residences at the hub of the financial and cultural city of Miami.